Smith & Wesson M&P Shield Owners? 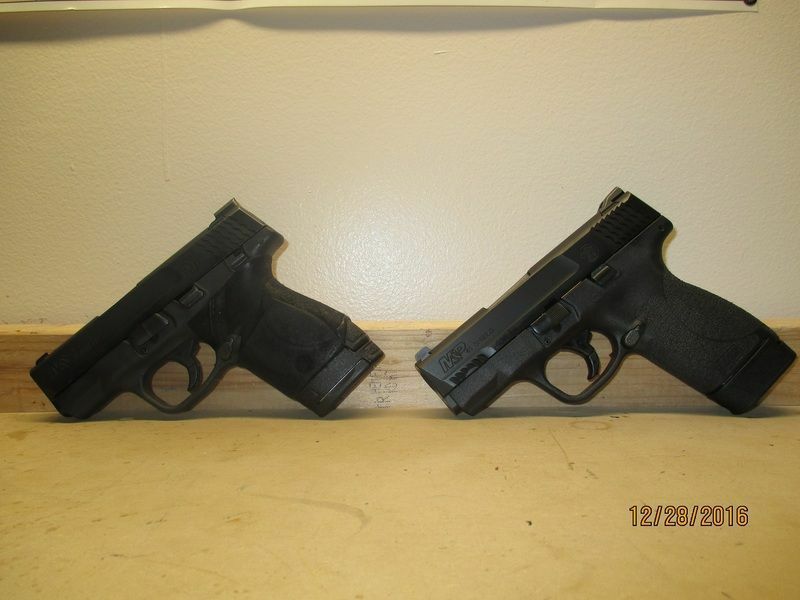 pa2a.org » The Armory » Firearms » Pistols » Smith & Wesson M&P Shield Owners? Any one here own a Smith & Wesson Shield? I just got a Shield 9mm with thumb safety for Christmas! It is a sweet little gun! For a small gun, it fits my hand like a glove. Check out the HYVE technologies mag extension. It balances the pistol very well, gives you +2, and looks cool. I have the same model. Left it bone stock. Carry the 8rd mag and an extra in a slide mag pouch. DeSantis owb holster. Great piece. You will be very happy. I have both a 9mm and a 45ACP, love them both. Carry them in a Desantis Nemesis pocket holster. I can walk around anywhere with my hand on the grip and no one is the wiser. DaveM55;175217 Wrote: I have both a 9mm and a 45ACP, love them both. I need to get a pocket holster...does the Nemesis keep the gun upright in the pocket pretty well or does it shift to the side? This might be the holster that I am looking for! Yes that holster keeps it vertical. I need to get a pocket holster..does the Nemesis keep the gun upright in the pocket pretty well or does it shift to the side? This might be the holster that I am looking for! I'm not a shield owner, but I'll second the nemesis holster. I have one for both my baby beretta and my lcr and they work great. Can't beat them, especially for the price.